ADDRESS FOUND IS A CONDOMINIUM, BUT THE APT# ENTERED COULD NOT BE FOUND. The Statements List displays information currently available for the Parcel you selected. This is a letter that was forwarded to me. Please consider the information therein. Subject: Constitutional Crisis-One Oath Away ! 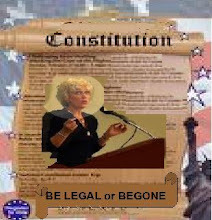 A CONSTITUTIONALCRISIS........ONE OATH AWAY! President-Elect Barack Obama is preparing for his formal inauguration as Pres.of the United States in less than two weeks yet how many are aware that Alan Keyes, a former black presidential candidate has instituted a lawsuit against him, charging that he is not a "natural-born" citizen, thereby making him ineligible to seek the office of President under the laws of the U.S. Constitution. I, a Caucasion, consider myself "non-racist" and share the position of Mr.Keyes. Though my vision is good, in the recent Presidential Race I was completely color-blind. Having said this, I am now raising my voice against what I believe may be an unlawful attempt by Obama to "procure" the Presidency of the United States ! Had he honestly supplied proof of his electability status I would not be writing this letter nor would so many lawsuits have been filed against him because, like it or not, he would have been Constitutionally elected. Listening to then Senator Obama throughout the campaign, I heard a man whose moral utterances are in complete contradiction to the beliefs of my Catholic Faith. Even more distressing was his consistant lack of concern for the unborn, including those who somehow survived birth while fending off Abortionists. What a horrible mismatch to contemplate ! Obama, however, said that a child so born could be abandoned and left to die, whether in a closet, utility room or wherever, if that was it's mother's wish ! Would he feel that way if it had involved his own family ? Four thousand innocents are being killed in the womb daily yet he is preparing to sign legislation which would add approx. 125,000 more victims yearly. Obama left me with no choice but to vote against him because of his "ideals"....not his color. Now it appears the only legal path left is to challenge his eligibility, an eligibility never confirmed. I believe that he knew full well his Hawaiian "Certification of Live Birth" certificate (COLB), though similar in name to the Hawaiian "Live Birth Certificate", was not acceptable as a valid document establishing "natural-born" citizenship, since it lacked pertinent information such as a Government signature, Doctors name, Hospital of Birth, witnesses, etc. When challenges to his claim of "natural-born" citizenship surfaced he unhesitatingly put a COLB on the website of Daily Kos, claiming that it was a true copy of his original birth certificate. Note that he had no qualms about releasing that particular COLB to the people. What he failed to mention was that a COLB did not confirm "natural-born" citizenship status. Only a "Live Birth Certificate" could ! Was this a small oversight by a recognized Constitutional lawyer ? When competent authorities raised the objection that the Daily Kos posting appeared fraudulent Obama's transparency immediately was replaced by complete secrecy and now he steadfastly refuses to allow anyone to view the "vault" copy of his birth certificate. Even letters, lawsuits,newspaper ads are ignored and not even acknowledged. Why ? Would it reveal information which would only further confirm that he was ineligible to seek the Office of President ? Obama might have settled this issue for under fifty dollars by having his "vault" certificate released to the public by Hawaiian authorities. Instead, he has caused over twenty lawsuits to be filed in search of the truth (imagine the cost) yet he has reportedly incurred over one million dollars in legal fees with multible law firms to prevent anyone from viewing the "vault" copy. Who in their right mind would pay out such sums to avoid going public unless they feared exposure of a dark secret (no pun intended) ? How naive does he consider the American people to be, though I wonder just how naive we have become ? Please reflect on this: Obama wishes to become our President but won't release records which should confirm his eligibility while we citizens must produce those same records for marriage, military service,etc. Remember how he often said he would meet with any World Leader, even Terrorists, with no pre-conditions ? What if the President of Iran agreed to meet with him, on condition that due to the notoriety about this issue he must first produce a valid "Live Birth Certificate" as proof that he was empowered to speak and act for the United States Government ? Would Obama authorize the release to the Iranian Government of a document which he refuses to release to the American People ? He would be on the horns of a dilemma for, if he allowed its release and it is shown to be a 'COLB" rather than a true "Live Birth Certificate", he would immediately forfeit any eligibility to even seek the Presidency. On the other hand, if he directly refused to satisfy the Iranian request he would be telling the entire world that disclosure of his birth certificate would invalidate any claim he made to the Office. The only other negative option available would be to maintain complete silence, which is what he is doing to the American People. It's called stonewalling ! If Arnold Schwarzenegger had kept his Austrian birth certificate secret he might have succeeded in adding a "World President" belt to his other trophies. THE CART IS BEFORE THE HORSE Truly disgraceful is the conspiratorial-like non-reporting by the Major Media of the existence of the many lawsuits, encompassing plaintiffs of Caucasian, Black, and Hispanic origin which were or are challenging Obama's claim of "natural-born" citizenship. What the media gives us are crescendos of silence, until a lawsuit has been rejected, usually for presumed lack of "standing". Then, and only then, are we made aware that the lawsuit even existed. As I've said above, they have reversed the order of the horse and the cart. Guess which then reaches us more quickly....wares or waste ? As more and more citizens clamor for transparency by Obama, seeking a public release of his "vault" birth certificate and Occidental College records (listed as foreign student ?) some of his defenders call those citizens "crazy" or refer to the issues as "garbage". So much for civilized, relevant responses to genuine concerns. Our Constitution was obtained at a great price. Though written in ink, it had been purchased in blood....the blood of our Forefathers. The Founders of our Nation deliberately inserted a "natural-born" citizenship requirement for anyone seeking the Office of President to ensure that the ideals for which they fought would be faithfully preserved for the future. Imagine their reaction if someone preparing to lead our country with an oath to defend the Constitution refused to allow anyone to question his eligibility credentials; today you would not find that person's portrait in The Hall of Presidents. Were our Forefathers "crazy" and the issues "garbage". I think not. 1) No Hawaiian hospital is reported to have a record of Obama's being actually born there, including two which were each separately claimed (shades of King Solomon) as his birth hospital by various family members. 2) His Kenyan grandmother's testimony reportedly identifies Kenya as his birthplace and her witnessing his birth. 3) In the 1980's he traveled to Pakistan, but records show that he did not obtain his first American passport until years later. What nationality did he claim, since Pakistan was not allowing those with American passports into the Country while war was going on ? 4) He is reported to have attended school in Indonesia as Barry Soetoro, when only Indonesian citizens were permitted to attend. CONCLUSION No one can promise to defend our Constitution and ignore it when it pertains to themselves. That was a "privilege" reserved by Dictators and Kings for themselves and, also,a reason for the establishment of our Country. Obama was elected to be a servant of the people....not their master. If he really wishes to unite our Nation let him release his "vault" birth certificate and other records requested and then step up....or down, accordingly, thereby bringing closure to this issue. Robert Quinn New York PS: In shortening my references to Pres.-Elect Obama to "Obama" no disrespect was intended. I simply had a lot to say and tried to limit excess words and unnecessary repetition because many on my list are senior citizens who like to retire early. All may freely pass my letter on. (July 13, 2000) The Senate Technology Subcommittee held another hearing on identity theft on July 12. Sen. Feinstein is sponsoring legislation to restrict the purchase of social security numbers over the Internet, one means by which criminals are able to assume another person's identity. Prepared Statement of Sen. Kyl [PDF], 7/12/00. March 7, 2000 hearing (web page in Senate Judiciary Committee web site with links to prepared statements). S 2328 IS, Identity Theft Prevention Act of 2000. The hearing, titled "Identity Theft: How to Protect and Restore Your Good Name," was conducted by Sen. Jon Kyl (R-AZ) and Sen. Dianne Feinstein (D-CA), the Chairman and Ranking Minority Member of the Senate Judiciary Committee's Subcommittee on Technology, Terrorism and Government Information, respectively. The hearing addressed the many ways that criminals obtain information that enables them to assume the identities of others, the harmful consequences that it has for the victims, and legislation to remedy the problem. Sen. Feinstein focused also on the role of the Internet in facilitating identity theft. The Subcommittee conducted as similar hearing on March 7, 2000. Sen. Kyl stated that "criminals often use the social security numbers and other personal information to assume the identity of law abiding citizens and take their money. It is high tech theft." Congress passed the Identity Theft and Assumption Deterent Act in the last Congress, which criminalized identity theft. However, Sen. Kyl stated that "identity theft, unfortunately, continues to grow, particularly as the Internet grows in popularity." "How does it happen?" Sen. Kyl asked rhetorically. "Technology enables new sophisticated means of identity theft. Using a variety of methods criminals steal social security numbers, credit card numbers, drivers license numbers, ATM cards, telephone calling cards, and other pieces of a citizens identity. Victims are often left with a bad credit report, and must often spend months, and even years, regaining their financial wholeness. In the mean time, they have difficulty writing checks, obtaining loans, renting apartments, getting their children financial aid for college, even getting hired." The two Senators are trying to draw public and Senate attention and support for their proposals to alleviate the problem of identity theft. "The key to prevention," said Sen. Kyl, "is businesses establishing responsible information handing practices, and for the credit industry to adopt stricter application verification procedures, and to put limits on data disclosure." S 2328, the Identity Theft and Prevention Act, sponsored by Sen. Feinstein, and cosponsored by Sen. Kyl. S 2699, Social Security Number Protection Act, sponsored by Sen. Feinstein. require credit issuers and credit bureaus to develop a single form for victims to report identity fraud. Sen. Feinstein also indicated that she intends to introduce another bill, that would expand the principles of S 2699 to include drivers licenses, personal medical data, and personal financial data. Sen. Feinstein elaborated on the role of the Internet in the sale of Social Security Numbers. "Identity theft victims have actually been calling on our office with story after story of these crimes. And let me give you a couple of examples. My constituent, Amy Bradbury, of Castral Valley, reported that an identity thief obtained a credit card in her name through the Internet in just ten seconds. The false application had her Social Security Number and birth date correct." "Because of the increasing role that the Internet is playing in SSN misuse and identity theft, we have expanded the scope of these pilots to include the sale of Social Security cards over the Internet. Using undercover purchases of Social Security cards, we can determine which vendors actually provide buyers with fraudulent documents and which merely take the money and run. We are very optimistic that we will be able to shut down several important Internet distributors of false identification documents with this initiative." "On the other side of e-commerce, we started another operation targeted, not at those who sell false identification documents over the Internet, but at those who buy them. This effort has two goals. First, we can locate and stop those who purchase counterfeit Social Security cards that might be used in identity theft crimes. And second, it will enable us, for the first time, to determine both the scope of Internet trafficking in false identification documents and the many ways one can use a false SSN." "Amy -- well, let me give you another example. Lynn Kleinenberg (spelling?) 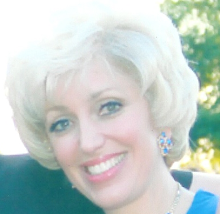 of Los Angeles, her husband was an executive at Cedar Sinai Medical Center. He died in December. The identity theft there used her husband's obituary to get the maiden names, then went to the Internet, purchased the various documents, and she had $200,000 in diamond purchases charged against her," said Sen. Feinstein. "Another person, Amy Boyer, a twenty year old dental assistant from Maine, was killed last year by a stalker who bought her social security off the Internet for $45. Incidentally, some of these web sites provide, you can buy it for $25 now. And then they used the Social Security Number to locate her work address, and go out and stalk her and kill her." "I have two proposals pending before the Congress today, and I hope we can discuss them. The first prohibits the sale of Social Security Numbers. This administration, the administration actually is supportive of this legislation. I am hopeful we can pass it. It, Senate Bill 2699, entitled the Social Security Number Protection Act, that would restrict the sale and purchase of Social Security Numbers. It has some exceptions." Sen. Feinstein continued that "I am also right now writing legislation to amend that to provide for the same stipulations to a drivers license, to personal medical information, and personal financial data, and to provide an opt in. In other words, the Internet site would have to get the permission of the individual before using their Social Security Number, their drivers license, their personal medical information, or their personal financial information. Now, this is very controversial." Both Jodie Bernstein of the FTC and Jim Huse of the Social Security Administration expressed support for S 2328; but, neither endorsed S 2699. However, Beth Givins of the Privacy Right Clearinghouse did testify that Social Security Numbers "certainly should not be for sale on the Net." Jim Huse, Social Security Admin. Steve Emmert, of Lexis/Nexus, and Stuart Pratt, of Associated Credit Bureaus, both testified regarding the legitimate market for personal data, including social security numbers. Emmert testified that "the availability of individual reference services helps to reduce identity theft." He also argued that many types of sales of Social Security Numbers should remain legal. He covered several examples, including: locating criminals and witnesses by law enforcement authorities, locating heirs, locating pension fund beneficiaries, locating victims of fraud schemes and environmental hazards, and tracking down parents who are delinquent in child support payments. He also said that banking, insurance, and database companies, such as Lexis/Nexus, ought to be exempt. Sen. Feinstein offered to work with Emmert in crafting a bill that would meet their concerns, but prevent individuals from buying Social Security Numbers over the Internet. Sen. Feinstein also conceded that she was having difficulty moving her legislation. Regarding S 2328, she lamented, "I doubt very much the Banking Committee is going to move the bill." founding fathers would have afforded it. facing us. Before you discard any of this information please take the time to verify on OFFICIAL US Government sources such as the site for our United States Supreme Court. Barak H. Obama aka Barry Soetoro to be POTUS. Check the court Docket. Comment- If the Chief Justice did not think we have a problem he would NOT distribute this case let alone give it to the full court to read. He does not want to look dumb or waste the time of the court after all he is the Chief. more like a loud bomb. If I heard it, I KNOW the Joint Chiefs of the Military heard it. fact he himself is duty bound to not obey this if not given by a "legal" President or at a minimum is conflicted as to the right thing to do !! The Oath states he will obey the lawful orders of those above him not ANY order. Chief Justice Roberts has as much as told them by distributing this case we may have a constitutional problem with Obama. So at this very moment our Military leaders are likely conflicted. Not a good thing. already forgotten ????? Have you been distracte by the economy. Did Biden know something ??? Has anybody bothered to ask him?? additional information to assure us he is who he says he is AND qualify under the Constitution and we in the military will do whatever he asks us to do to protect this country. This is what we do. everything and I mean everything in his power. To my Fellow Officers and Enlisted who are required to lay their lives at the very feet of Liberty. Do not despair but take good faith. Remember those who came before. He is not our President yet so you still have a right to raise concerns all the way to the Pentagon. Let the Officers in your command know that Justice Roberts has taken the first stand to insure the Constitution is followed. Let our Chief Justice know you support him and appreciate him for HIS courage valor to stand up for us. Call/ write your congressman. Pass this letter to every blog you can. Ask your family to do the same we are a mighty voice and it can be heard. Does anyone know why Charles Payne (brother of Madelyn Payne Dunham) show amongst people with unclaimed properties in HI? Find any unlisted number or address. Search by Maiden Name, Phone Number or SSN. Thank you for your incredibly large amount of work on exposing the fraud Obama. I noticed that you are looking all over the nation for people. ZabaSearch is a fairly good free people search engine and may be of some help to you. Honestly free people search. All US postal addresses & telephone numbers revealed free. Three-times more listings than white pages phone directory. Who entered those adddresses in the National databases and why? I received this info from the private investigator, Mr. Neal Sankey. Again, somebody has entered into the National databases Lexis Naxus and Choice Point all of these addresses in relation with Barack Obama. Please help me track down and find out, who entered all of these addresses and why. I am trying to solve the mystery of this social security number. I received information from a private investigator that the social security number 535-40-8522 was entered together with the name of Phyllis Albriktsen into the Lexis-Nexus and Choice Point database, that is owned by Cisco. I was told that Cisco was purchased by a Chinese company (I don't have the name). I called Ms. Phyllis Albriktsen at 425-337-1098, she said that it is not her ss number, she didn't know who did it. I need help from people that do tech support for Lexis- Nexus, ChoicePoint and Cisco. I need to track a person, that is entering this information and I need to know why he or she is doing it. If you work for one of these companies and can help tracing people that are entering this information,please call 949-683-5411 or e-mail dr_taitz@yahoo.com, mark "Re trace ss"
One of the patriots has forwarded to me an AP report, stating that judge Souter has denied a stay in relation to Barack Hussein Obama and stated that all of such requests were denied. This corrupt AP never reported that on 01.07.09. Chief Justice of the Supreme Court John Roberts has distributed my case to be heard at the full conference of the Supreme Court. Same fund Norman Hsu was bundling for. September 17, 1997. (Ex. 1). These checks were written on an account held jointly in the names of Sundari, Sandra, and Laureen Elnitiarta. Rep. Mike Honda (D-Calif.) Donated $1,000 to charity. Rep. Joseph Sestak (D-Penn.) Donated $1,000 to chairty. Al Franken (D-Minn.) for Senate Donated $2,600 to charity. Accidentally came upon this act, the RICO Act. It seems to fit the criminal behavior of the DNC, they are covering up for an illegal alien. fraudulently seeking the Presidency, using their "past good name" to create a trust in an organization who had never before snuck in an immigrant candidate and so then took advantage and betrayed that trust, they brought in money from everywhere around the world, and are using court systems and DNC party members throughout the States and in Congress to cover up their tracks, not providing documentation to citizens when contacting the party for documentation on their candidate, quibbling in courts to protect a simple birth certificate, controlling and manipulating the media, intimidating voters. The corruption and illegal activities of the DNC really seem to fit this RICO Act. They aided and abetted a common criminal, an illegal immigrant, to hide his past and seek the White House under their cover, in broad daylight. We the People versus The DNC. Over 14,000 visited the blog today, it means we are getting close to half a million citizens visiting the blog within a month. This is extremely important in order to bring awareness to the public. One down side, is that I need to answer a huge number of e-mails and phone calls, I am doing my best, I appreciate everybody's support and I apologise in that I cannot answer all the questions. First in re. to military case. We were planning to file today in GA. A local attorney that was supposed to co-sign the papers has some personal problems. We need a local attorney in GA. Please contact me if you know of a GA attorney that can co-sign simply for the purpose of receipt of the documents from the court. Now to the Supreme Court. I would like to explain that we didn't win the war yet. This is only a battle, but it is important. A number of people asked to explain, how is it different from previous cases. As you know, I referred the case to Chief Justice Roberts and he had two options: to deny or to distribute it to be heard by all 9 judges in a conference. He has chosen to refer the case to be heard at a conference of all 9 judges. Decision of the Chief Justice is important, as it is believed that a number of justices on the court follow his lead, media and legislature listen to what he has to say. What about the date? From what I understand the conferences are scheduled every week once a week. Berg's case is scheduled for 9Th and 16s. The next available date was a week later, the 23rd and that's when the case was scheduled. I will see what happens tomorrow with the certification of the electoral vote. If one congressman and one senator objects, then both Berg's and my cases will become moot and the issue will be probably resolved in Congress and Senate. In case the electoral vote is confirmed, then I will send another letter to the Supreme Court, asking to move my case to an earlier conference on the 16Th. I need to explain that even if I am successful in moving it to the 16Th, it is not the final disposition of the case. After the case is heard at the conference by all 9 Justices, they vote. If 4 out of 9 vote for the case, they schedule the next step, the oral argument. If 5 out of 9 vote for the case at the oral argument, the case is won. The court needs to give the other party notice to prepare for the oral argument, which means that most likely even Berg's case that was scheduled for the 9Th and 16Th will not be heard before the inauguration. Even if it is heard before the inauguration, probably there will not be a final decision by the court before the inauguration. Most likely the case will be decided after the inauguration. Keep in mind Nixon was involved in Watergate before the election, however the decision of the Supreme Court to hand over the tapes came down after the election and Nixon was forced to resign. We have to look positively, we have to start with the premise that we have to win and work as hard as possible to achieve this goal. Fraud cannot prevail. We hope the decision will come before the inauguration, but if not, we will keep fighting until we win. I got an email from one attorney, that is working on this case, saying that he didn't understand the message, that he understood it literally and I need to explain. ( I will not post the name of this attorney). It seemed strange to me, that over 14,000 people: attorneys and lay people understood the message and this one attorney, working on the case didn't understand it, but let me explain. The Supreme Court usually does not provide explanations, why it acts in a certain way and at a certain time. Attorneys, analysts and lay people review the decisions of the Supreme court within the frame of what is happenings in legal and political arena in general and come up with analysis, as to what it means. For example, why did the court sit on Berg's case for two months and scheduled it the last moment before the inauguration with no time for oral argument and decision? Why did they schedule the actual case for the 9Th and it's more urgent part, the injunctive relief for a later date, the 16Th? A number of editorials were written, saying that by scheduling the case at a certain time the court is sending a message. Similarly, what does it mean, that Chief Justice Roberts renders his decision one day before the certification of the electoral vote? If he were to deny it, he would send a clear message to Congress and Senate: "There is no merit in the case, go ahead and certify the vote." When he did not deny the case, but rather sent it to all 9 Justices to be heard at the conference, he is sending an opposite message. I hope this attorney and his assistant understood what I am saying. Yet another question was asked, "could it mean, that by deciding to hear the case at the conference, Chief Justice Roberts simply wants to prevent me from shopping around and going to other Justices?" Theoretically everything is possible. Theoretically one can say that all 3 branches of our government were hypnotised and that is the reason why they didn't hear anything until now and don't want to hear anythinhg in the future. I hope this is not the case. Justices of the Supreme Court don't live in a vacuum. They surely read the AOL poll, showing that the majority of the public wants this issue investigated. They know that I filed the Keys case together with another attorney. They know that numerous members of the military have signed up to be represented as plaintiffs by me. They know that I will be coming to Supreme Court time and again demanding answers. They know that the number of my supporters is growing exponentially. I believe Chief Justice Roberts scheduled my case a week after Bergs for a reason. If the full Supreme Court does not rule favorably on Berg's case, my case will serve as an assurance policy aweek later. Why do I say that? 1. First of all my case does not have a problem of standing. My client Gail Lightfoot was a vice presidential candidate on the ballot. Four of my clients are electors, five out of seven have served in the military and some of them are subject to recall. They might be facing a charge of treason for following the orders of Commander in Chief who is not legitimate and who is loyal to another Sovereignty. 2. In my case the Chief Justice of the lower Jurisdiction, Supreme Court of California has denied the petition by writing only one word "Denied", therefor the Justices of the Supreme Court of the US are free to rule on my pleadings. In all the prior cases there were specific negative decisions written by lower courts that had to be overcome. 3. My case provides not only the argument of Kenya and Indonesia, but also Donofrio's argument, definitions of Natural born citizen, as it was when the Constitution was adopted, namely that one is a natural born citizen if one is born in the country to parents that are citizens. This definition by Emerich De Vattel was later echoed by John Jay and John A Bingham and resonated in Minor and Elg cases. 4. My case has remarkable precedents of Larry Holmes and Eldridge Cleaver, that were removed from the ballot by previous Secretaries of State of Ca, because they did not qualify. There birth certificate (original one) showed them younger then 35 y.o. 5. My State electors didn't have necessary certificates of electors. 6. Lastly, don't forget the dead elector, what are they going to do about that, remove her out of the grave and resuscitate? At the end of the day all I can do is hope for the best. God's ways are unknown and the wheels of Justice turn slowly. I hope my case will be heard on the merit during the oral argument. I am not telling the court to decide in my favor, I am saying that all of these arguments have to be heard by each and every American citizen. The Supreme Court owes the American people an answer, who is this man, is he a citizen of Indonesia? Kenya? Great Britain? What is his legal name? Do we live in a Communist country or a dictatorship where the laws are never enforced? Or do we live in a country, where the courts decide based on the Constitution? The courts hear only one side of the story from our main stream media. It is up to you if the Justices hear your side of the story.